Machine learning is finding widespread applications in medicine due to the convergence of the availability of data via electronic medical records, the interest in individualizing medicine, and new approaches to algorithm development, most notably deep learning. Machine learning is being applied to clinical trial choices, radiographic and pathology image analysis, electrocardiogram interpretation, responses to drug therapy, prediction of development of type 2 diabetes and many others. A review of machine learning approaches and concrete medical examples will be provided. 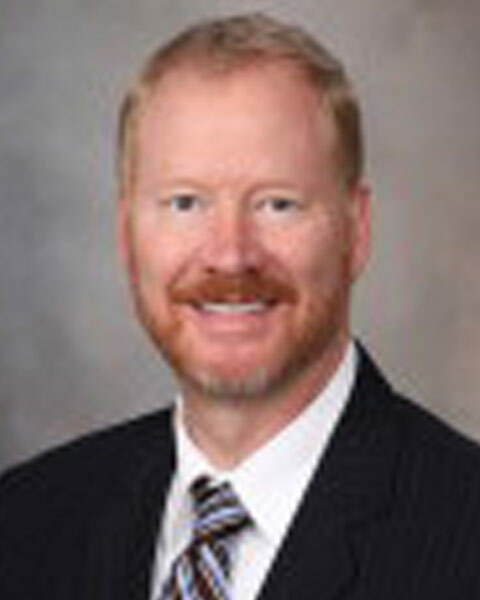 Bradley J. Erickson, MD, PhD is a Professor of Radiology, College of Medicine and Science at the Mayo Clinic. He received his MD and PhD degrees from Mayo Medical and Graduate Schools and then did his residency in diagnostic radiology followed by a Neuroradiology fellowship at Mayo Clinic. He went on staff at Mayo Clinic, and was heavily involved in implementing a filmless department, including being the writer and lead on QREADS He then worked with various EMR projects, including being the Vice Chair for IT. More recently, he has refocused on imaging informatics research, receiving NIH grants for brain cancer, multiple sclerosis, and polycystic kidney disease. He is particularly focused on the application of deep learning to medical images, which is the emerging field of radiogenomics. He was the founding Chair of the Division of Imaging Informatics, and is currently the Associate Chair for Research in Radiology. Bio: Bradley J. Erickson, MD, PhD is a Professor of Radiology, College of Medicine and Science at the Mayo Clinic. He received his MD and PhD degrees from Mayo Medical and Graduate Schools and then did his residency in diagnostic radiology followed by a Neuroradiology fellowship at Mayo Clinic. He went on staff at Mayo Clinic, and was heavily involved in implementing a filmless department, including being the writer and lead on QREADS He then worked with various EMR projects, including being the Vice Chair for IT. More recently, he has refocused on imaging informatics research, receiving NIH grants for brain cancer, multiple sclerosis, and polycystic kidney disease. He is particularly focused on the application of deep learning to medical images, which is the emerging field of radiogenomics. He was the founding Chair of the Division of Imaging Informatics, and is currently the Associate Chair for Research in Radiology. Craig Mermel, MD, PhD is the Product Lead for Pathology at Google AI (formerly Google Brain). Dr. Mermel holds a BA in Mathematics and Biochemistry from Washington University in St. Louis. He obtained his MD from Harvard Medical School and obtained a PhD in Genetics from Harvard University. His thesis dissertation, titled "The Analysis of Somatic Copy Number Alteration in Human Cancers," was completed in the laboratory of Dr. Matthew Meyerson at the Dana-Farber Cancer Institute and the Broad Institute of Harvard and MIT. Dr. Mermel completed residency training in Clinical Pathology at the Massachusetts General Hospital and is board-certified in Clinical Pathology by the American Board of Pathology. Prior to assuming his current role, Dr. Mermel worked as a software engineer at Apple, Inc where he worked on Health Special Projects. Bio: Craig Mermel, MD, PhD is the Product Lead for Pathology at Google AI (formerly Google Brain). Dr. Mermel holds a BA in Mathematics and Biochemistry from Washington University in St. Louis. He obtained his MD from Harvard Medical School and obtained a PhD in Genetics from Harvard University. His thesis dissertation, titled "The Analysis of Somatic Copy Number Alteration in Human Cancers," was completed in the laboratory of Dr. Matthew Meyerson at the Dana-Farber Cancer Institute and the Broad Institute of Harvard and MIT. Dr. Mermel completed residency training in Clinical Pathology at the Massachusetts General Hospital and is board-certified in Clinical Pathology by the American Board of Pathology. Prior to assuming his current role, Dr. Mermel worked as a software engineer at Apple, Inc where he worked on Health Special Projects.